Next weekend – April 11/12, the Comic Book Lounge will be setting up a booth at HERO FEST KINGSTON, a new 2-day show taking place in Kingston, ON. Featured guests in include TY TEMPLETON, DAN DAY, Dr. Who’s COLIN BAKER and Star Trek: The Next Generation’s DENISE CROSBY (who recently appeared on the Walking Dead). The following weekend we will be setting up on Sunday, April 19th at the next TORONTO COMIC BOOK SHOW. Don’t forget, between now and April 24 we are having a 40% off older trades and hardcovers clearance sale. All books on the bookshelves on the walls are on sale – after the 24th we’re packing up the remainder for show backstock and for online sales. New books are not on sale. After that we really start winding down the retail shop, and on the following weekend – April 25/26 we’ll be moving a lot of the remaining stock and fixtures into storage for shows and online sales. FINALLY on Wednesday, April 29th – an event three years and three months in the making — we are throwing a LAST WEDNESDAY/FINAL NIGHT PARTY and staying open until 11PM with special appearances by comic guests like LEONARD KIRK (artist on Fantastic Four – the last issue of Fantastic Four ships that day), TY TEMPLETON (Batman ’66 Meets the Green Hornet artist), and more. It’s doubles as our final Industry Night at this location and the following day, April 30th we bid adieu to 587A College. A bold new direction for DETECTIVE COMICS as THE FLASH creative team of Francis Manapul and Brian Buccelato take over the creative reins! Batman finds himself knee-deep in a new mystery involving a deadly new narcotic that has hit the streets of Gotham City. Please join writer/artist FRANCIS MANAPUL at the Comic Book Lounge on Saturday, April 5th for a special signing for this landmark issue! 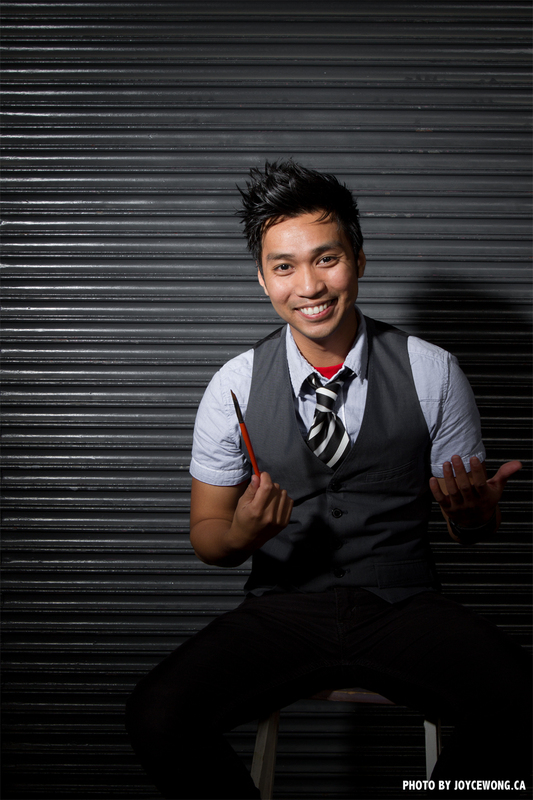 Francis will be signing and sketching for fans! 7PM – 11PM – BATMAN ’66 HC BOOK LAUNCH with TY TEMPLETON! Put on your go-go boots and get ready to “Batusi” back to the Swingin’ 60s as DC Comics reimagines the classic Batman TV show! In this hardcover collecting issues #1-5 of the hit series, The Dynamic Duo takes on The Riddler, Mr. Freeze, The Penguin, The Mad Hatter, The Joker, and more of the world’s most colorful Bat-villains! Please join us for a special bat-party at a special bat-time at the Comic Book Lounge (and our neighbours the Temple of Toys) with the one and only Ty Templeton! On display will be original artwork from Batman ’66 #2 and #6. 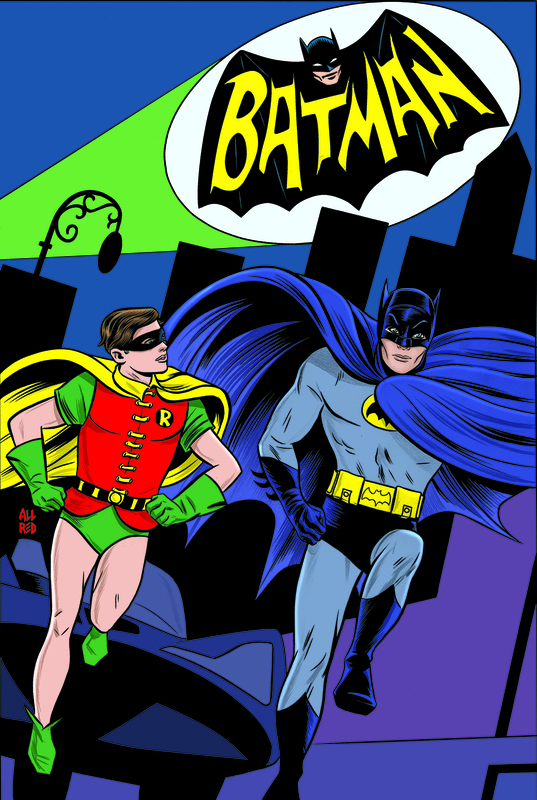 Ty Templeton will have his Batman ’66 prints available and original artwork for sale! Feel free to come dressed as your favourite hero or villain! 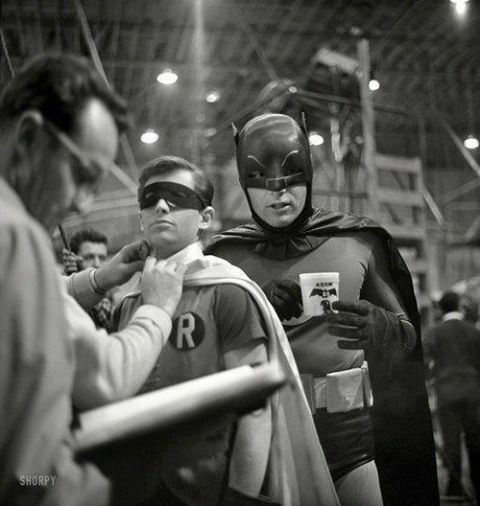 Come and do the Batusi — we’ll have someone there who can teach you how! Neil Hefti’s swinging jazz on the stereo, and some Batman ’66 on the small screen! Libations will be available for purchase. A tall glass of milk helps build strong bones and teeth in case you need to catch the Bat-rope in your teeth! All the right ingredients for a good time for all. Come and see the back space before it becomes The Back Space! We are pleased to announce that Back Space Toronto (which will be occupying the space currently being used by Guerilla Printing at 587A College St.) will be opening this May, joining The Comic Book Lounge & Gallery and Temple Of Toys.Back Space will serve not only as an event venue as a natural extension of the two existing businesses (featuring special guests, book launches/ signings, special exhibitions, fundraisers) but also series of regular happenings, such as life drawing sessions, gaming demos/ tournaments, trivia nights and other fan-related community events and initiatives. Basically, a year-round comic con convention experience. As it this isn’t enough, Back Space Toronto will also be offering a wide range of unique programs for both kids (after-school/ weekend/ summer camp programs in cartooning, animation, action figure building, etc.) and adults (evening programs in comic book portfolio/skills development, taught by real industry professionals, TBA). The space will be available for private event/ party rentals (including kids party packages) as well. Please feel free to contact Back Space Toronto if you are interested in running any events/ workshops or weekly classes, as they are currently putting together the preliminary schedule for the May launch. The Comic Book Lounge (Kevin), Nelvana Comics (Rachel), Chris Yao and Sam Noir will be among the many people joining Degrassi’s Pat Mastroianni at this event. The store will be open as well. SATURDAY MARCH 22 IS HELLBOY DAY! Part of the proceeds from the production of HEADY MENTAL SEASON 2 support Foundations of Hope & Hospitals in the community. Contributing Talent includes: • Cover by Rina Rozsas • David Bishop • Robert Freeman • Marshall Geddes • Brice Hall • Shane Heron • Oliver Ho • Carl Howard • Dyl Klöepfer • Jeff Longstreet • Matthew Tavares • Anthony Smerek • Chris Sopsich • Dave J. Woodward • Christopher Yao • Sam Noir – Creators will be sketching, signing, and showing off their portfolios and artwork. Spring has arrived and it’s time to do the Batusi! Join us for a special gallery show of Ty Templeton’s Batman ’66 artwork combined with cocktails and cosplay! We’re dusting off the Neil Hefti records! Did you know rock band RUSH has a new comic? SAGA VOL. 3 TP IS FINALLY OUT!!!!! 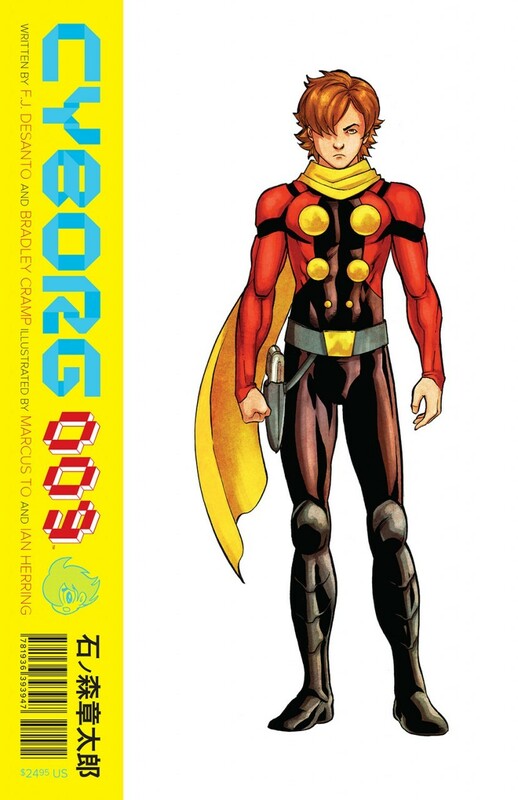 Tonight at the Comic Book Lounge we will be hosting an art show and signing with MARCUS TO and IAN HERRING to celebrate the recent release of their new graphic novel CYBORG 009 from Archaia Entertainment. Beverages will be available for purchase at the event. Archaia Entertainment is excited to announce a partnership with Ishimori Production Inc. of Japan to produce Cyborg 009, a modern adaptation of the classic manga series created by the legendary Shotaro Ishinomori, author of other such notable works as Kamen Rider, Goranger, Kikaider and Skullman. This deluxe hardcover graphic novel will feature the classic characters and origin story from the original series re-imagined for a new worldwide audience. 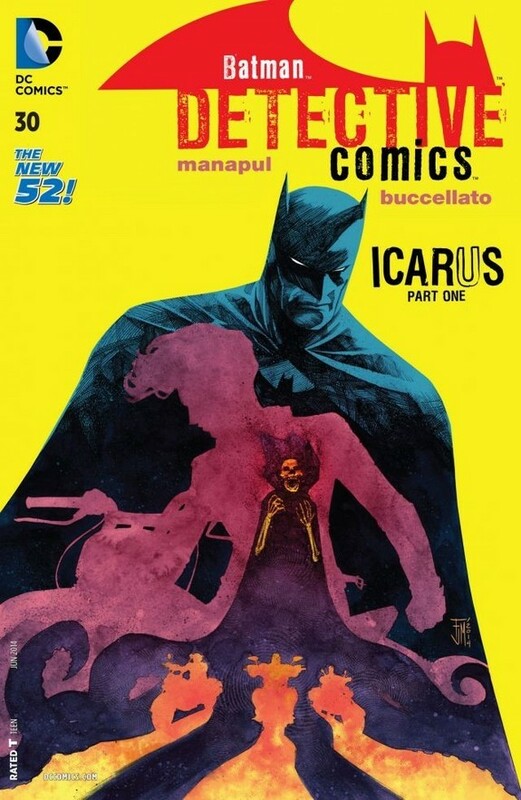 The new edition will be written by F.J. DeSanto (The Spirit, Immortals: Gods and Heroes) and Bradley Cramp (Gattaca and the forthcoming film Invertigo), and illustrated by artist Marcus To (Red Robin, The Huntress) and colorist Ian Herring (Jim Henson’s Tale of Sand). The story follows nine normal humans kidnapped from around the world to become unwilling test subjects by The Black Ghost Organization, a secret society that provides weapons of mass destruction to the highest bidder. The nine victims are put through a series of extreme experiments that transform each one into a unique super-powered weapon. With the help of a compassionate project scientist, these living weapons rebel from their captors and set off on a mission to stop Black Ghost from plunging the world into a perpetual state of war. Created in 1964, Cyborg 009 was Japan’s first and most-popular super-team, quickly becoming one of the most influential manga series of all time. The original manga has been published in over 250,000,000 copies of weekly comics and comic books worldwide. A new 3D CGI animated theatrical feature film, 009 RE:CYBORG, produced by Production I.G (Ghost in the Shell, Kill Bill Vol.1), was released in Japan in October 2012. DeSanto is currently attached to produce a live-action feature film version of the property. Cerebus built a reputation for parody by liberally borrowing from popular and established comic characters. With Low Society, Multiple Eisner and Joe Shuster award-nominated editor Rob Walton (Ragmop) and the Comic Lab bullpen take you on all-new adventures in aardvarkian insanity featuring appearances from Red Sophia, Moon Roach, Elrod, and more. 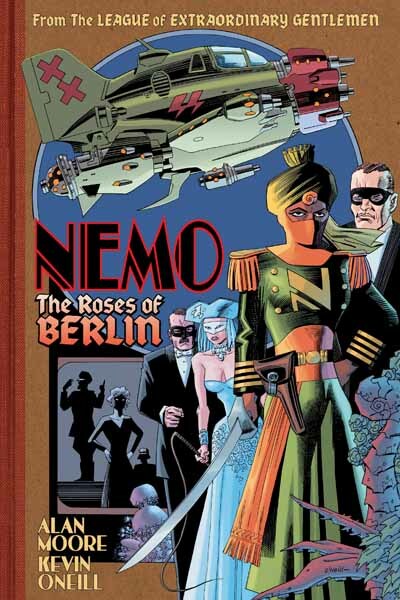 Featuring an all new cover inked by Dave Sim with backgrounds by Gerhard. Plus a host of pin-ups, laughs and surprises. 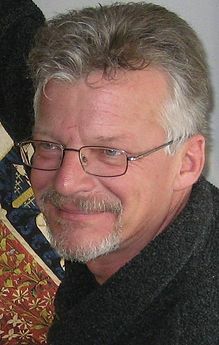 Cerebus’ Gerhard will be making a rare special appearance at the event with new prints for sale! 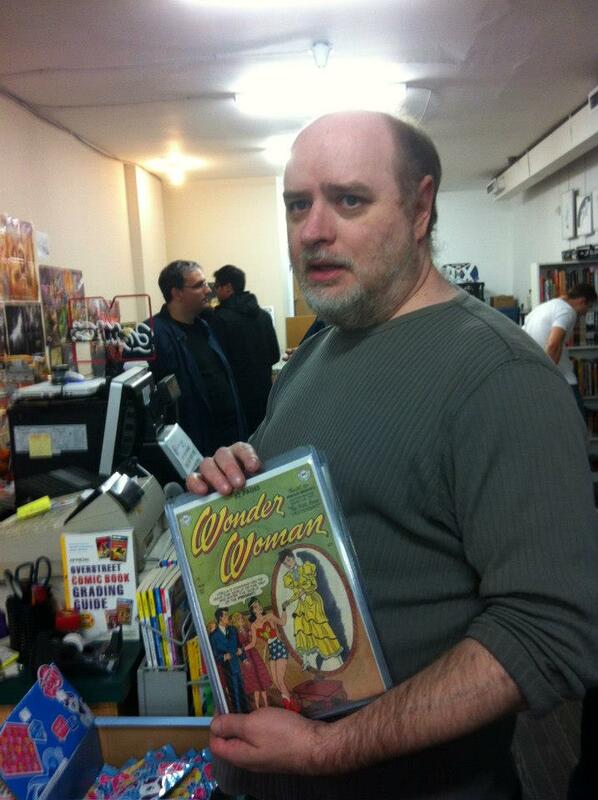 The launch party/signing at the Comic Book Lounge in Toronto features a rare appearance by special guest GERHARD (who worked with Sim on Cerebus from issues 65 to 300), editor Rob Walton and the Comic Lab Bullpen. There will be an accompanying art show of the original art from the published issue. The book will be distributed to comic book shops later this month, but advance copies will be available EXCLUSIVELY at the Comic Book Lounge (587A College Street, Toronto) for this event! Please note, that while he gave permission to use Cerebus in this project (and his position on how others can use the character is detailed in the preface of LOW SOCIETY) — Cerebus creator Dave Sim will NOT be at the event. Refreshments will be available for purchase at this event. What happened to the summer?On August 21 we held the launch party for Reform School Ninja Girls which was a huge success — the original art is still up on display in the gallery until September 5th. Last weekend we wrapped up Fan Expo Canada for another successful year, and buzz around town is that they had well over 110,000 attendees over four days. It was an exciting weekend for the Lounge, what with our booth at the show, Kevin participating in the Canadian Superhero Renaissance Panel on Friday, Rachel participating in the Golden Age of Canadian Comics panel on Sunday and the 9th Annual Joe Shuster Awards being presented on the Saturday night at the Art Gallery of Ontario. On Monday we had an impromptu visit/signing with the fine folks from UK publisher Neil Gibson Comics, including creator Neil Gibson himself. They’ve left some copies of TWISTED LIGHT at the store for sale along with a special offer to those that buy it to get a copy of TWISTED DARK for free either digitally or in print! Rachel will be enjoying a restful vacation from September 3rd to 19th and we hope she has a great time. Mike Bothelho and Kellam Templeton-Smith will be filling in for her while she is away. 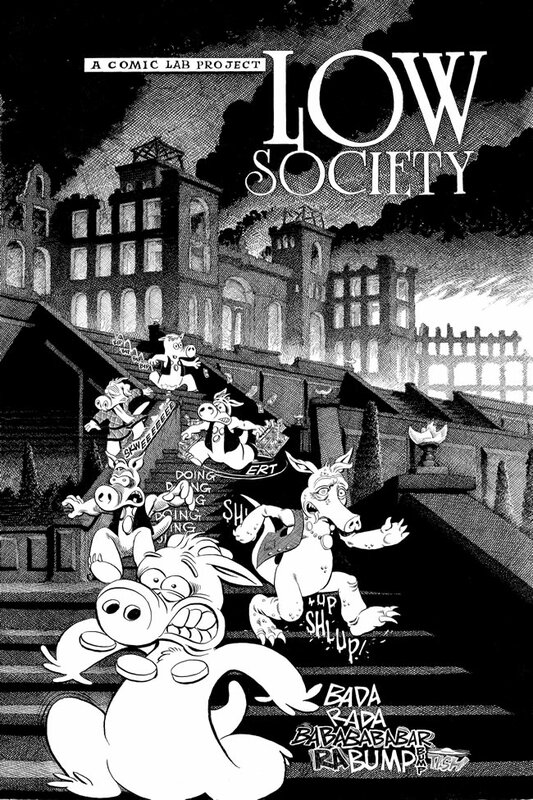 Our next evening event in September is the CEREBUS: LOW SOCIETY book launch on Saturday, September 7th with special guests Rob Walton (editor), Gerhard and the many talented participants in the Comics Lab Project. We’ll have copies of the book well in advance of the distributed copies, courtesy of Aardvark-Vanaheim. On September 13-15 we’ll be exhibiting at the MONTREAL COMIC CON (look for us at booth 429) and Kevin will be accepting CGC Signature Series requests for the event. If there is something you would like us to bring to the event for you please let us know in advance. On September 20-22 it looks like Kevin will be driving down to Columbus, OH for Wizard World Ohio to complete the Stan Lee signing that was originally schedule for Fan Expo (unfortunately Stan was not feeling well and had to leave early) and as a result he will be accepting some CGC Signature Series requests for that event as well. On Saturday, September 28th we have LADIES NIGHT IV, one of our most popular reoccurring events. WHO: J. Torres, Ramon Perez, J. Bone, Jack Briglio, Howard Wong, Adrian Alphona and Jay Stephens. 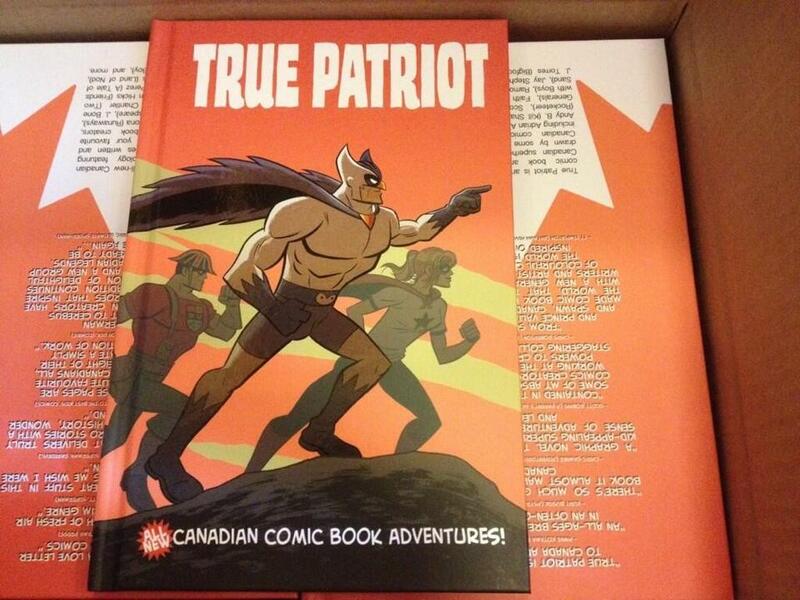 True Patriot is a comic book anthology featuring Canadian superheroes written and drawn by some of your favourite Canadian comic book creators. 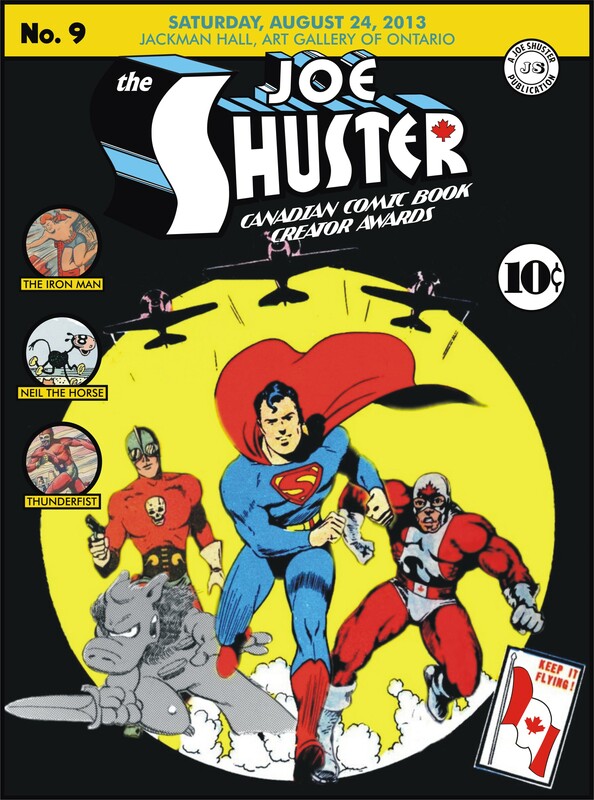 Most of the folks working on this project grew up reading Alpha Flight, Captain Canuck, or Wolverine comics and have always thought that there should be more Canadian superheroes out there. So, they put together a 100-page, full-colour anthology for your reading pleasure (and ours) for only $25! The Anthology includes contributions from Adrian Alphona (Runaways), Andy B. (Kill Shakespeare), J. Bone (Super Friends), Jack Briglio (Scooby Doo), Scott Chantler (Two Generals), Tom Fowler (Hulk: Season One), Agnes Garbowska (Girl Comics), Faith Erin Hicks (Adventure Time), Tim Levins (Avengers: Earth’s Mightiest Heroes), Ramon Perez (A Tale of Sand), Ron Salas (28 Days Later), Jay Stephens (Secret Saturdays), J. Torres (Teen Titans Go), Howard Wong (After the Cape). Launch Party includes guests such as: Adrian Alphona, J. Bone, Ramon Perez, J. Torres, Jack Briglio, Howard Wong and Jay Stephens! We’ve also received art from Tom Fowler, Adam Gorham and Agnes Garbowska to display in the gallery. If you did not preorder it don’t fret because copies of TRUE PATRIOT will be available for sale at the Comic Book Lounge. The book costs $25. Note: artists attending these events may or may not be doing sketches, but if so you’ll have to arrange pricing individually, and the money will go directly to them. They may also have other swag for sale (e.g. prints, original art, etc. ).